Mixed-use developments are more ambitious and diverse than ever. 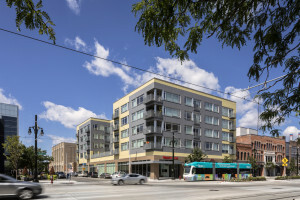 McIntosh Poris Associates on Commercial Architecture Magazine: Mixed-use buildings and neighborhoods are not a new thing. In cities and small towns, retail has long been located on the ground floor while offices or residences were located above. After all, those workers and residents were a built-in market for the businesses at their foot. But today, expectations for mixed-use developments are higher, more specific, and more inclusive.